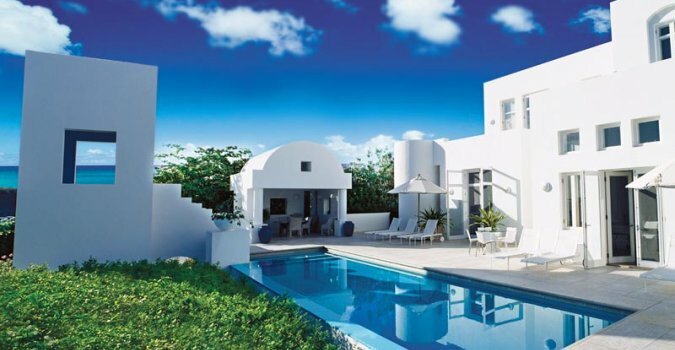 Sky Villa one of the three most luxurious rental properties in Anguilla. Sky is the embodiment of its namesake. 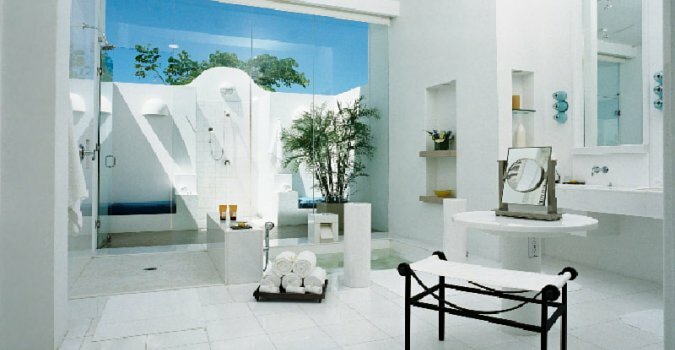 Interior hues of aquamarine and royal blue with yellow accents set an ethereal tone throughout its 6,500 sq. ft. of sweeping space. 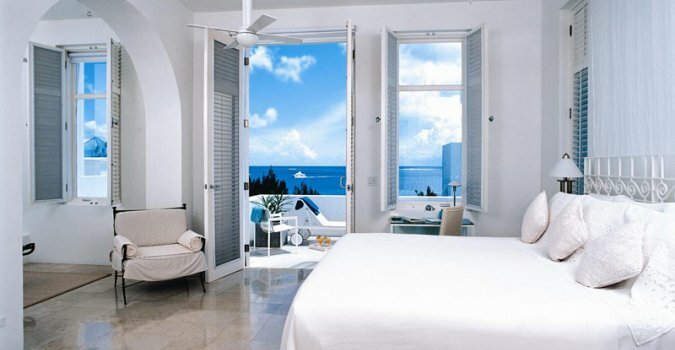 There are four master suites, three of which have private terraces overlooking the ocean. Now Sky Villa is available for sale in conjunction with two other villas (Sea and Sand) in the collection known as Elements. 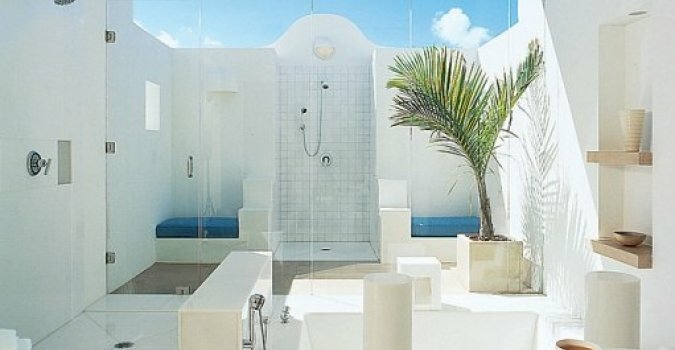 Sky Villa offers 4 master suites each with their own terraces and spectacular white Italian marble bathrooms with indoor/outdoor showers. It is approx 10,300 Square Feet and was featured in the Wall St Journal Mansions Section Sept 2014. Elements is a unique enclave of properties that appear to cascade down the hillside with steps onto coveted Long Bay Beach. Each villa has its own infinity edge pool and jacuzzi with spectacular views throughout; yet only a few steps down onto Long Bay Beach. Elements offers boutique community amenities of a unique "boat house" for indoor/outdoor dining right on the sand, a gym as well as an office. Sky Villa has the highest vantage point with the best panoramic views of all three. 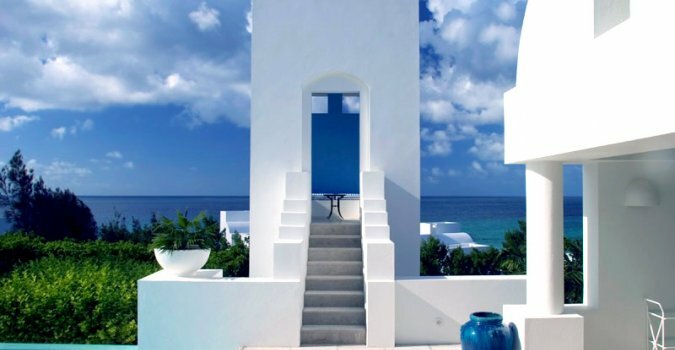 The villas are Greek in style and very striking white which offsets the amaxing blue ocean views that surround. 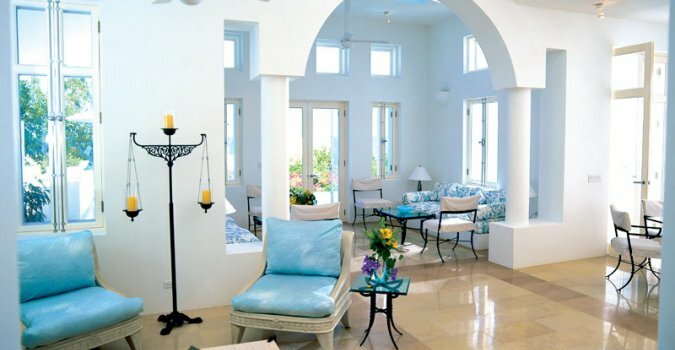 Elements villas collection can be purchased for a reduced price of $15m. 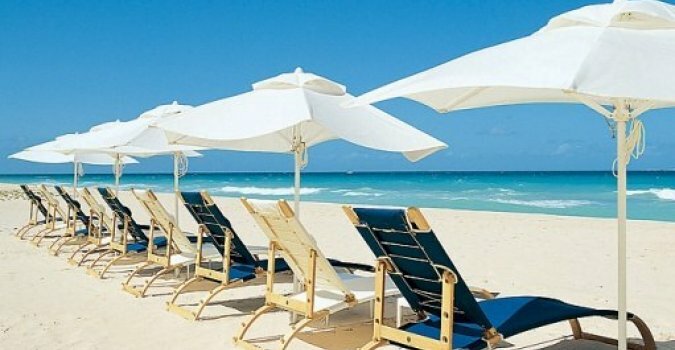 It would make a great family compound as is or may be secured with an adjacent, former operating beachfront restaurant for a package as a true hospitality resort. 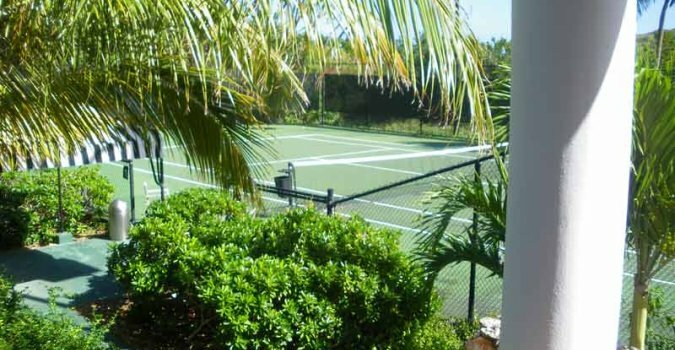 Neighboring Santosha Villa, also just listed by Trophy Properties, is a roughly 37,000 square feet estate with its own tennis courts, beach grotto, library, gym, staff quarters spread among five buildings. 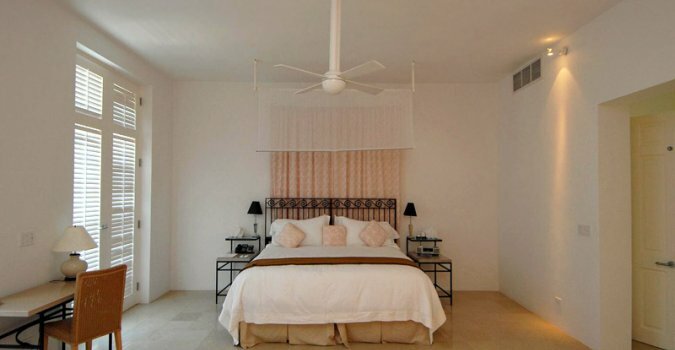 All combined, these Anguilla contiguous beachfront properties offer about 6.5 acres and 650 linear beachfront feet for a boutique compound unmatched on the island. They are also fully furnished. The Anguilla portfolio may also purchased along with the same owners creme de la creme offerings in New York. 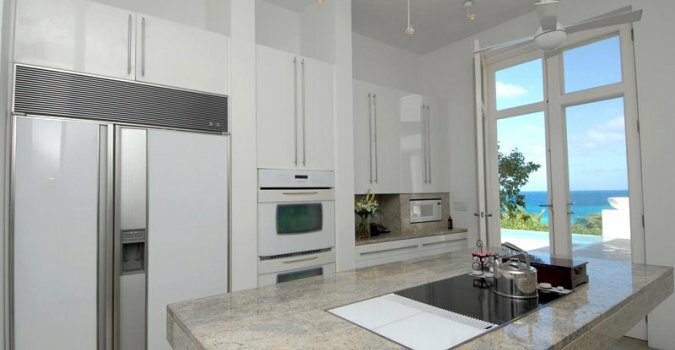 These include an exquisite Upper East Side Manhattan townhouse and eight bedroom beachfront Southampton property. 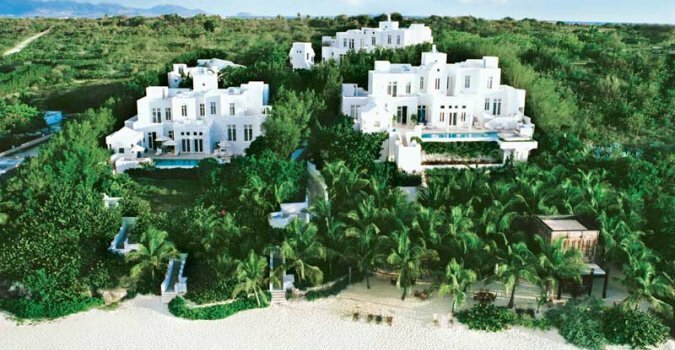 All together, the combined Anguilla and New York listings would be an amazing global lifestyle package.